There will be 11 playable factions in Total War: Three Kingdoms, each based around a warlord from the period. Three have been announced so far: Cao Cao, Liu Bei, and Sun Jian. Each of the 11 warlords aims to unite China under their rule and forge the next great dynasty. The game begins with the collapse of the Han Dynasty, and the brutal tyrant Dong Zhou having taken the throne with the backing of his adoptive son Lü Bu, the greatest warrior of the period. For many players, the pair will be the first and most obvious obstacles (and could later be revealed as playable themselves), but with so many contenders to put down, they will surely not be the last. For more plots, politics, and… pelligerence, check out the best strategy games on PC. 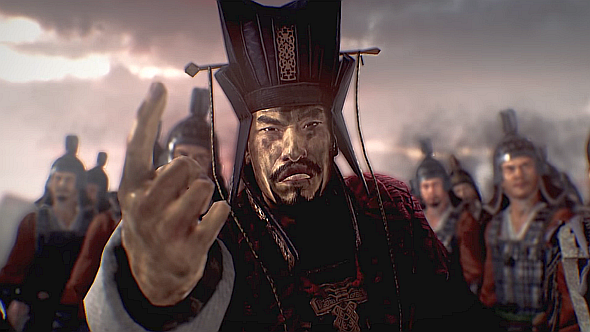 Total War developer Creative Assembly has made clear that Three Kingdoms follows the 14th century novel Romance of the Three Kingdoms in viewing the real conflicts of the period through a slightly fantastical lens. Each of these 11 warlords will thus have near-mythic capabilities, to reflect their status in the stories. We’ve seen a little of this in the gameplay trailer that’s accompanied the game’s E3 demo, with the master strategist Cao Cao conferring buffs on his troops, while the warriorLü Bu takes a more hands-on approach. Characters are everything in Three Kingdoms, and not just on the battlefield. We’ve also heard that they’ll have a huge impact at the campaign level, with Creative Assembly mechanising the Chinese social philosophy ofguanxi. Guanxiis a system in Three Kingdoms, with your characters’ personalities and interpersonal networks having a huge impact on their value to your faction and their happiness within it.